Ladybugs are the friendly garden bug that eats the bad bugs that create troubles in your garden. 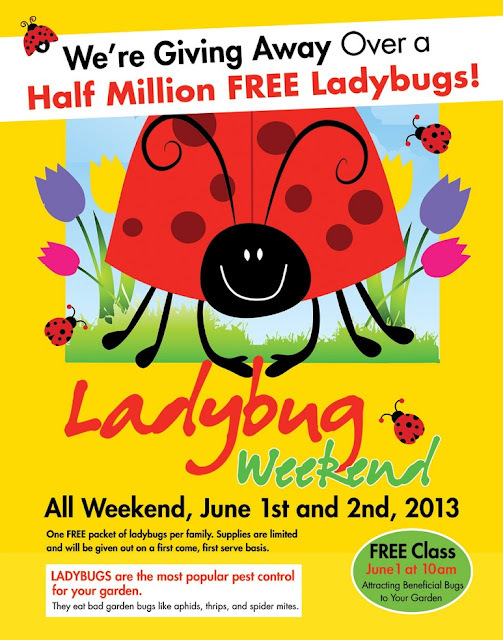 On June 1 & 2nd Pike Nurseries is giving away over half a million ladybugs. Learn more about ladybugs at the free beneficial bug class Saturday, June 1 at 10am. Supplies are limited.